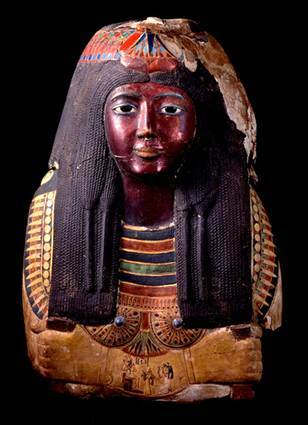 As expected the United States has initiated a civil forfeiture action over the Ka Nefer Nefer mask purchased by the St. Louis Art Museum in 1998. The government holds a number of important advantages in these forfeiture proceedings, which is why the Museum brought a suit last month to preclude a forfeiture, based on a lapsed five-year limitations period. As the government’s complaint explains, the mask was professionally excavated, so this is not a case of looting and destruction of context. Rather the mask was either stolen later or was given to one of the archaeologists working at the site. The government’s filing outlines what it suspects happened next: that the mask was stolen sometime between 1966, when it was shipped off to Cairo for an exhibit, and 1973, when the Egyptian Museum in Cairo ran an inventory and discovered it missing. Box number 54, in which it had been packed, was empty. The museum has said it thoroughly researched the mask’s ownership history before buying it, and was given no indication that there were questions about how it arrived in the U.S. The museum’s research showed the mask was part of the Kaloterna private collection during the 1960s, before it was purchased in Switzerland by a Croatian collector, Zuzi Jelinek, who then sold the mask to Phoenix Ancient Art in 1995. It also maintains in its lawsuit that the government’s statute of limitations for seizing the mask has expired. Jennifer Mann, Government sues to seize St. Louis museum’s mummy mask, St. Louis Post-Dispatch, March 17, 2011, http://www.stltoday.com/news/local/metro/article_98d72244-9976-5b8a-a73d-5c211c6a771b.html (last visited Mar 17, 2011). Art crime does not just include the theft of works of art or the looting of antiquities. The value and portability of works of art make them a very convenient way to launder money as well. I am quoted in a piece for NPR affiliate WNYC discussing the return of two objects to Brazil. This work by Roy Lichtenstein and another work by Joaquin Torres-Garcia were returned to the government of Brazil today during a ceremony in New York (press release). The works were once owned by the disgraced Brazilian banker Edemar Cid Ferreira who was convicted and sentenced to 21 years in prison in 2006 for financial fraud. A judge in Brazil ordered Ferreira to surrender his unlawfully-gained assets. In an attempt to conceal some of these assets, these works were shipped to the Netherlands and then to New York where they were sold to unsuspecting buyers. The paperwork accompanying these works valued them at only $200, while they may be worth as much as $12 million. This is an example of the use of civil forfeiture in policing the art and antiquities trade. The “Portrait of Wally” settlement reached earlier this summer was also reached via forfeiture. Forfeiture allows prosecutors to bring a suit against an object which was part of a crime, and all claimants to the object come forward to challenge the forfeiture. It is a powerful tool for prosecutors, as the burden of proof is far lower than the typical “beyond a reasonable doubt” standard typically involved in prosecutions. Historically, federal prosecutors have intervened on behalf of origin nations or claimants when they have potential claims. Yet it has also been a useful tool in policing organized and white collar crimes. Marlon Bishop, Lichtenstein and Torres García Paintings On the Way Back to Brazil, WNYC, September 21, 2010, http://culture.wnyc.org/articles/features/2010/sep/21/us-returns-brazilian-art/ (last visited Sep 21, 2010). Erica Orden, U.S. Returns Valuable Paintings Seized From Ex-Banker to Brazil, wsj.com, September 21, 2010, http://online.wsj.com/article/SB10001424052748704129204575506181973997368.html (last visited Sep 21, 2010).